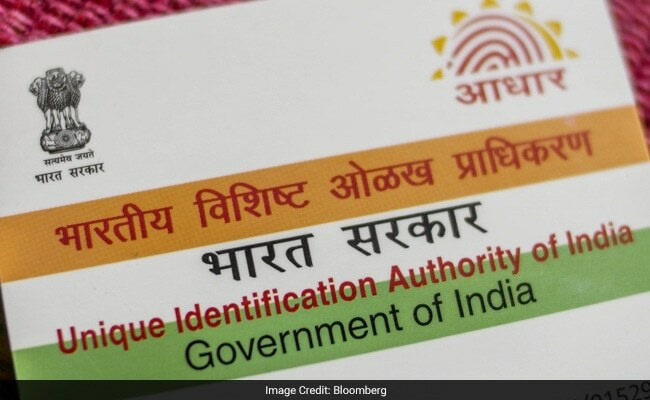 The government has made quoting of the biometric identity number - Aadhaar - mandatory for opening of bank accounts as well as for financial transactions of Rs 50,000 and above. Linking of Aadhaar card is not limited to banking or financial transactions. Aadhaar - the 12-digit number issued by UIDAI - is now mandatory for filing of income tax return and applying for a PAN. The government has also announced the deadline for linking existing bank accounts with Aadhaar. Failing to link your Aadhaar card with your bank account by December 31 this year may even make your account inoperable. The government has made quoting of the biometric identity number - Aadhaar - mandatory for opening of bank accounts as well as for financial transactions of Rs 50,000 and above. Linking of Aadhaar card is not limited to banking or financial transactions. Telecom companies are urging their customers to link their Aadhaar number or Unique Identity Number (UID) with mobile SIM by February to continue using their connections, citing a government directive. The Ministry of Railways has allowed m-Aadhaar as one of the proofs of identity for rail travel. mAadhaar is a mobile app from UIDAI or Unique Identification Authority of India on which a person can download his/her Aadhaar Card. Meanwhile, the UIDAI, the issuer of the UID and Aadhaar card, has in the recent times addressed many frequently asked questions (FAQs) about Aadhaar. What is the use of verifying bank account with Aadhaar? Will my bank details be safe? "By verifying your bank account with Aadhaar, you are adding an additional layer of security. Your bank account information is never transferred to Aadhaar/UIDAI by your bank," the UIDAI said. Is it necessary to verify my bank account with Aadhaar? "Yes, as per the amended PML rules, it is mandatory to verify all bank account with Aadhaar by December 31, 2017. To do so, you may please visit your bank's home branch at the earliest. Please do not give your Aadhaar details on phone to any unauthorised person/agency."